1. Let the session be more documentary in nature. You just had a baby. You’re SO in love! I want to focus on that! This is the type of session that should be a little more raw and tender. I want to photograph who you really are, to help you remember this time. Your baby (and family) will be changing so quickly that it all becomes a blur! I’m there to capture you in the moment. 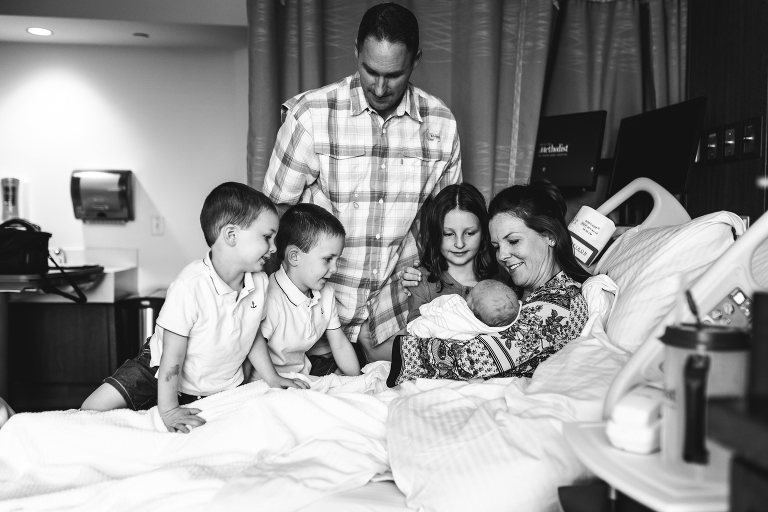 Fresh 48 Sessions are perfect for introducing siblings and capturing details of your beautiful new baby! The moments following are all unscripted, unposed, and raw. This first one is the reason I say be open to documentary photography. This is the moment that she found she has a new baby sister! 2. Wear something that you are comfortable in! I already said it once, but you just had a baby! This is not a perfect hair and make-up kind of photoshoot. Find something comfortable that you love and rock the mom bun! You know want to! One of my favorite places for buying clothing for the hospital is Pink Blush. You will find beautiful robes to throw on over your PJs! 3. Set your expectations low for siblings. When you scroll through Facebook, you will find one million and one sibling portraits. The siblings are usually smiling and kissing their new baby, right? I’m here to tell you, that is NOT always the case. And in many cases, its just not the case at all! My own darling boy was my first experience with a sibling not falling madly in love with a new baby. It broke my mama heart! I know it’s tough! However, the more pressure we put on them, the harder it becomes for them. 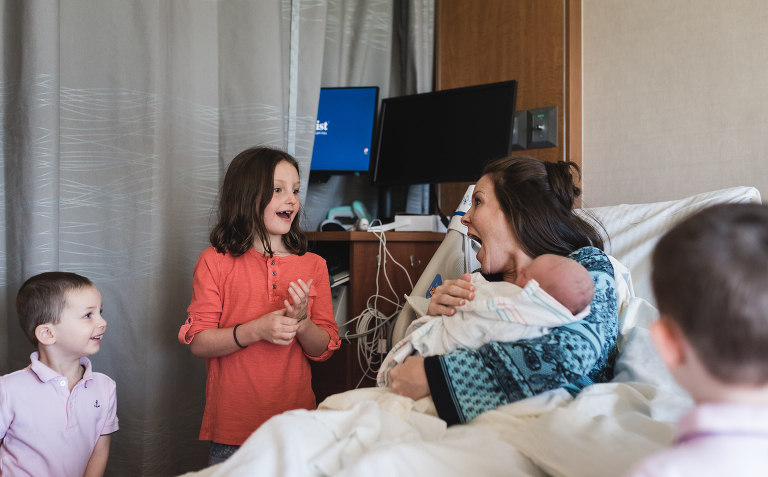 I have tricks up my sleeve to help siblings engage with the new baby naturally, but sometimes, we have to be realistic and know their world has just dramatically changed. I find it to be most questionable with siblings under 2. Whatever happens, it’s still beautiful because its part of your story! Sometimes, a boy just needs some ice cream! 4. Have fun with Swaddles and Accessories! First and foremost, this is a hospital/just born session. I believe its important to see the hospital t-shirt and blanket that is standard of all new babies. It’s like a right of passage and what you think of first when you look back on your time in the hospital. We will start every session with the hospital t-shirt and blanket, but you’re welcome to mix it up at the end! These newbies are usually not a fan of changing swaddles or clothes. One change is typically their max. Check out The Beaufort Bonnet Company & The Posh Peanut for cute accessories! Both of these shops have super cute swaddles for your hospital photoshoot! I’m a girl who loves a good neutral, but for my girls, I can’t resist florals! I do encourage you to choose swaddles versus an outfit because most newbies just don’t like to be unwrapped! I thought I’d throw in a little bonus for you guys! I’ve told this story on my blog before, but its worth telling again for anyone new! My oldest was born on a Saturday morning in May, which happened to be the morning before Mother’s Day. 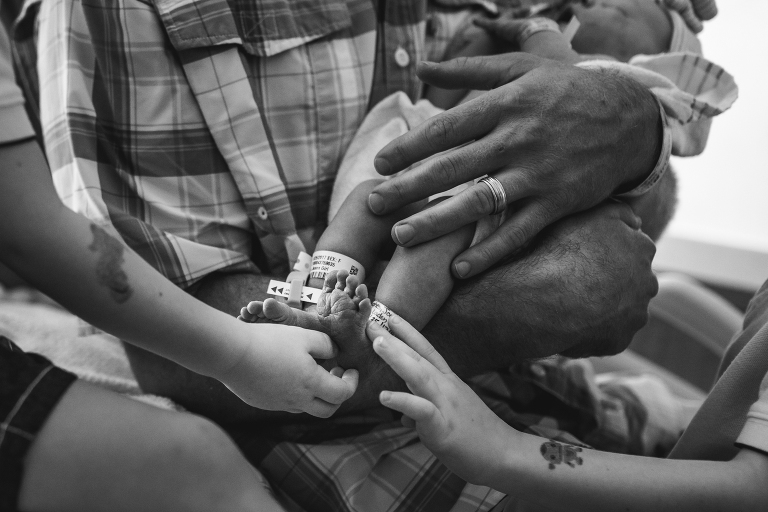 He spent the first few hours in the NICU and I was a mess. It’s hard to see your baby in the NICU! That also meant that my photographer wasn’t able to make it, because I absolutely wasn’t asking her to spend her Mother’s Day in the hospital with us. Do you know what she did? She came. She also took my favorite pictures ever that day! These are some of my MOST treasured photographs! Chani, you are still my hero! Thank you, thank you! 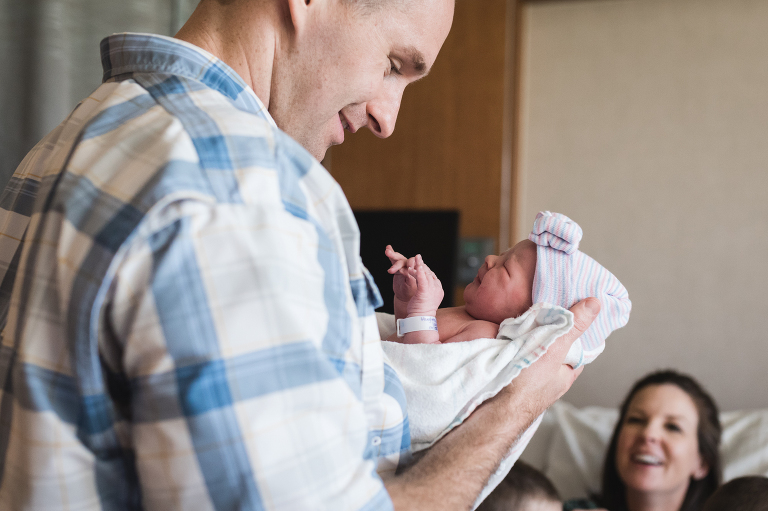 The Woodlands Hospital Newborn Photography is one of my favorite sessions to shoot! I am available for all hospitals in The Woodlands, TX as well as Conroe, Tomball, Cypress, and Katy. Get in touch with me here for your Fresh 48 or newborn session! If you are having a home birth or birth center birth, a Fresh 48 can still be for you!